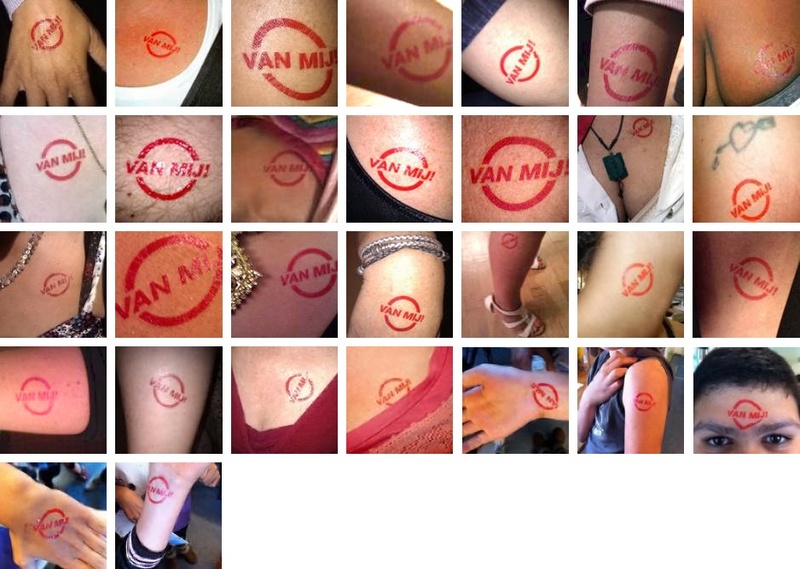 Freecard campaign that contains a washable tattoo-sticker stating: "VAN MIJ!" (it's mine!). Young women (and men) are invited to tag their bodies, make a picture and send it to importante.nl. The photos are being collected and published to make a statement against violence against women in general and to bring this subject into the daylight. Read more on the subject on wecan.nl/young (Dutch).